It is a question that has befuddled us since time immemorial. At its heart, though, simply lies the need to understand how best to live our lives. Whilst many would attribute happiness directly to having money, numerous scientific research has proven that, perhaps counterintuitively, wealth does not correlate with happiness – at least, not after a certain threshold. A ground-breaking study by Professor Cassie Mogilner Holmes of UCLA found that increased income does initially correlate with increased happiness. Having more money, of course, provides a buffer against the stresses and strains of modern living, a safety net against times of strife. However, after a ceiling of $75k (£55k), the study found that happiness plateaus, regardless of how high income rises. Take this finding in conjunction with that of another study. In 2017, Professor Ashley Whillans of Harvard Business School found that people can increase their overall wellbeing by using the money they have to buy time-saving services – buffering against what she termed time famine. Time famine is the subjective perception of simply not having enough time on one’s hands, something we can all relate to. By investing in time-saving services, we can promote our own day-to-day happiness – and therefore, in the long-term, our life satisfaction. What might these time-saving services be? You might hire a cleaner in order to give you more time to spend with your family when you are home. You might do online shopping to save all the time you would otherwise be spending dragging the kids to the supermarket on a Saturday morning. You might source yourself a personal trainer in order to become fitter, healthier, and therefore ultimately being able to spend more time being active as you get older. So, having time makes you happy – time to spend on those things that fill our lives with meaning. But where does this meaning come from? What do we really want to be spending our time doing? It has long been known in the scientific community that the single greatest factor in a happy life is finding, and maintaining, a long-term, meaningful, profound relationship with another person. At The Vida Consultancy, we, as a team of professional matchmakers, perhaps have a better understanding of this than most. We like to consider ourselves perhaps the single most significant time-saving service you can ever invest in. In outsourcing your love life to a group of experts who have your back every step of the way, you save yourself that time you might be otherwise spending mindlessly swiping on a cold, impersonal app, or on yet another dead-end date where the chemistry is simply not fizzing. In hiring a matchmaker, you hire a professional with an intuitive understanding for the nuances (and foibles) of every individual on their books, and therefore who might fit whom. 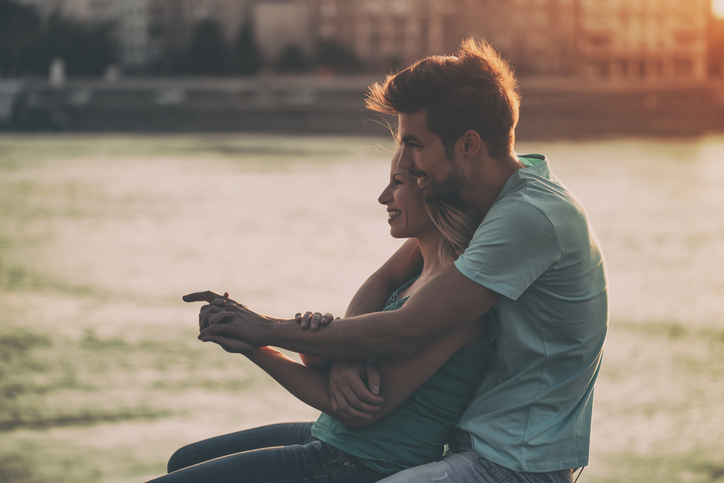 At The Vida Consultancy, we provide clients with a unique approach, combining psychological principles and assessments with character-driven profiling, creating a personable and warm framework on an increasingly clinical, online dating scene. The New York Times found that people spend up to 90 minutes a day swiping on Tinder. This was in 2014, however, four years ago; the use of dating apps has increased dramatically since then, and it is probable that the upper limit might now be around 150 minutes a day spent swiping (or otherwise perusing similar platforms). Even if initially the chemistry seems potent with a new person of interest, it can take many dates, and hours upon hours of quality time spent together, before you can even begin to understand whether you are on the same page regarding such massive aspects of a long-term relationship as marriage and children. If you are not, you may well find yourself back where you were a few months previously – downloading the same old app, with an indefinite amount of swiping to get through. When you hire a matchmaker, on the other hand, these deal-breakers are taken care of from the beginning. What price can you really put on finding love, perhaps the ultimate pursuit of happiness? Time and money, we begin to see, are beasts of a similar nature, and you cannot take them with you. Romance – happiness – the feeling and sensation of walking hand-in-hand with a person with whom you feel inextricably, mystically connected – these are the currency of life, and they are, simply, invaluable. At The Vida Consultancy, we understand this. Get in touch today – let us find you that love tomorrow.